Showing 32 articles from January 10, 2018. Will judge 'soften' school desegregation order? LOUISBURG -- The Franklin County Board of Education Monday night decided to join with the U.S. Department of Justice in a recommendation which, if a federal judge approves, could significantly lessen federal oversight of local schools. 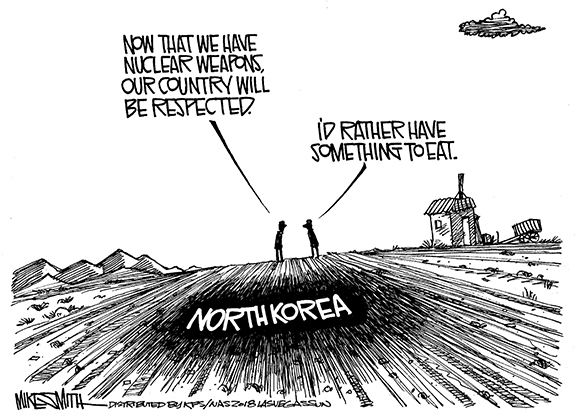 However, some restrictions would likely remain through at least 2020. 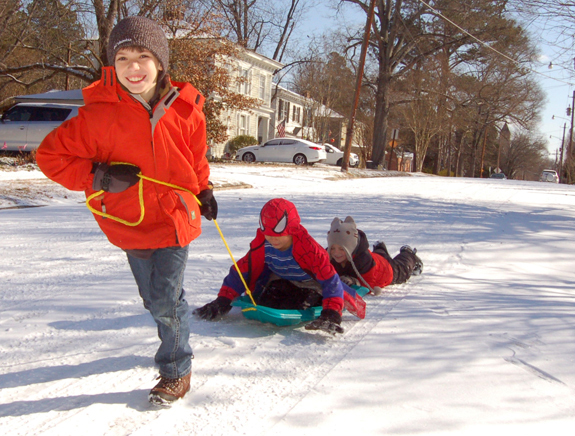 Riley Burton, front, pulls his friends, Rylan Brantley and Zach Brame in a sled down a hill on Sunset Avenue in Louisburg on Jan. 4. Franklin County government and schools were closed during the storm and cold weather shut off water to the county's planning office and its Louisburg library this week. They were both open for staff and the public by Wednesday. THE HUNT. 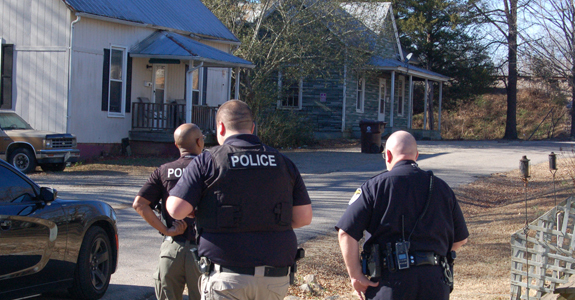 Franklinton officers were out earlier this week looking for suspects they've identified in a drug investigation. FRANKLINTON -- Police began making arrests this week, the result of a more than two-month long investigation into drug activity in town. The crackdown, investigators said, was the result of a fatal driveby shooting over the summer and complaints from the community about an open-air drug market in the area of Mill Street. 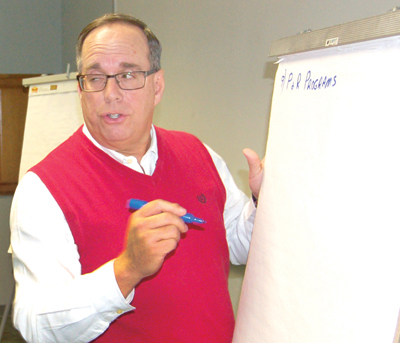 YOUNGSVILLE -- Town leaders spent a full day last week, hashing out how it needs to bolster its infrastructure to who it will need to lead them into the future. Organizers and commissioners, though, wanted to make sure the retreat wasn't just a mental exercise -- they tasked people with roles, responsibilities and deadlines. 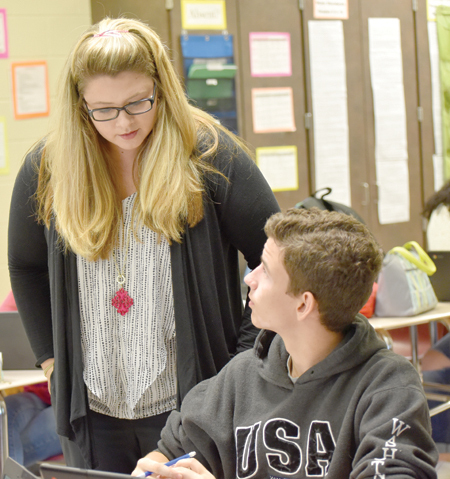 Franklinton High School will be the first school in Franklin County, and one of fewer than 50 schools in North Carolina, that will offer the Advanced Placement (AP) Capstone program to its students during the 2018-2019 academic year. There are currently 32 schools in North Carolina that participate in this selective program, with all schools required to submit an application during the fall of the year and gain approval by the College Board. Former town hall an asset or liability? YOUNGSVILLE -- For some, the discussion surrounding the old town hall and police department is just that -- old. However, an old development could give the matter new life. Youngsville moved out its dilapidated town hall and police department buildings last spring. Maybe it's just the cold but it still seems strange writing 2018! But it's here and although it has been chilly ... no, cold ... actually, frigid!, it's a new year full of promises and challenges. Here at The Times, we faced our first major challenge last week, partially courtesy of the weather which, thankfully, didn't come close to what the babbling bunch on Raleigh television was predicting. It's January, a new year full of hope, optimism and plans -- plus retreats galore! 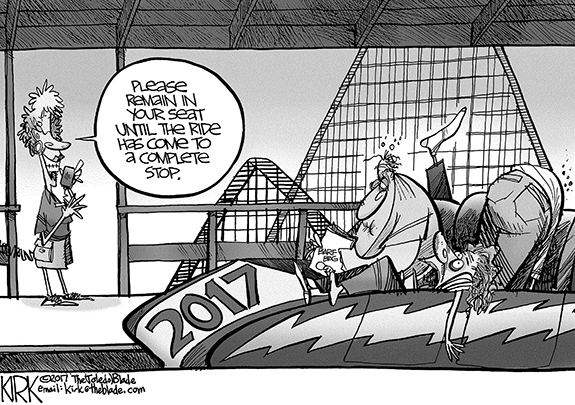 Retreats, if you're not familiar with the term, is government-speak for getting away to discuss plans, topics, schemes and half-baked ideas -- and these sessions are done preferably at a time so inconvenient that members of the public rarely attend. It's not very often that I read news stories and still have an aha moment, but this week provided one. First off, let's just say that starting late last week and through the weekend, I had been in a medicated haze, enduring severe body aches, bone-jarring chills and a nagging cough that triggered three days of hiccups. I once again find myself reading letters from students attending Louisburg College. The first correction is that the Confederate Monument is not part of the Louisburg College Campus. The monument is actually in the middle of North Main Street which is a public thoroughfare. Until Louisburg High School was built, Mills High School was on the East side of North Main Street. The idea that the monument has always been in the middle of the campus is incorrect. Clearly, President Trump has tried to derail the Russia Investigation from the very beginning. He has called it a hoax many times, fired FBI director James Comey, and has continuously made critical remarks about Special Counsel Robert S. Mueller III, who now leads the investigation. Dear editor: I am an 82-year-old white female who has been a lifelong resident of Louisburg and Franklin County, and very proud of it. My town, a beautiful, clean, friendly place to live. I would like to thank Warren Harris and Ann Brown for their informative letters. I am writing this letter to show my concern about the Confederate monument in the middle of our campus. Here at Louisburg College, the population is primarily African American students. CASTALIA - Alton Glenn Leonard, Jr., 49, of the White Level Community, died Monday morning at Rex Hospital surrounded by his loving family. LOUISBURG--Funeral services for Albert "Jimmy" Bernard Smith, 74, who died Sunday, Jan. 7, 2018, will be held Wednesday, Jan. 17, at 10 a.m. in the Richardson Funeral Home Chapel in Louisburg. 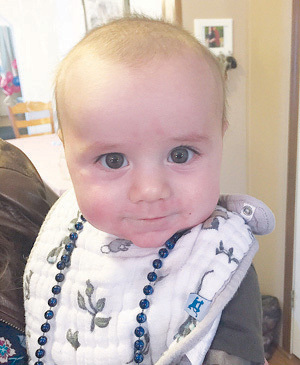 Burial will follow in the Sandhills Veterans Cemetery in Spring Lake. HOLLISTER--Funeral services for Charlie "Red Man" Richardson, 91, who died Tuesday, Jan. 9, 2018, will be held Saturday, Jan. 13, at 1 p.m. at Pleasant Grove Baptist Church in Hollister. Burial will follow in the church cemetery. TIGHT DEFENSE. 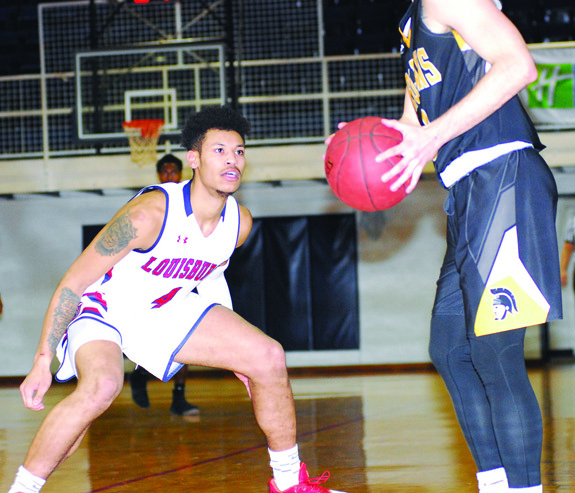 Louisburg College defender Ja'Darien Wade (left) eyes a potential turnover during Monday night's victory over the Fayetteville Tech Trojans at LC's Taylor Center. LOUISBURG -- Fayetteville Tech's newish men's basketball program has enjoyed an uptick this season with eight victories, including a home decision over long-time Region X powerhouse Richard Bland. 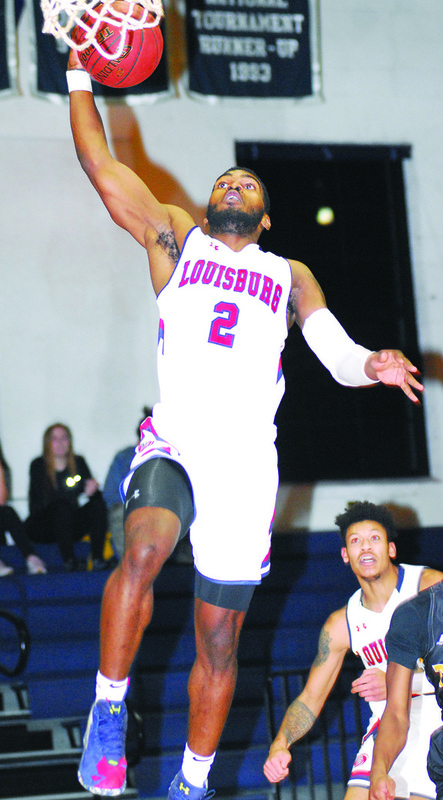 So the Trojans rode a wave of momentum and confidence into another showdown with an established titan on Monday at Louisburg College -- the defending national runner-up. TAYLOR TAKES THE BASELINE. Louisburg's JyQuan Taylor (with ball) drives Tuesday against Granville Central. 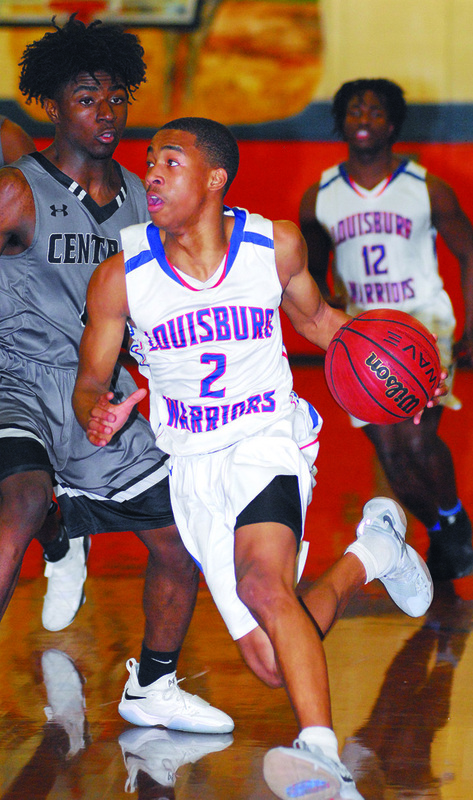 LOUISBURG -- After 18 days of game activity and six days void of practice due to recent snowfall, rust was destined to be an issue Tuesday for the Louisburg High School boys basketball squad. Unfortunately for LHS, the timing couldn't have been any worse, as Tuesday's meeting with Granville Central would go a long way toward determining which of the Northern Carolina Conference teams would gain the league's automatic berth into the Class 1-A State Playoffs. LOUISBURG -- Going long periods of time without scoring continues to be a problem for the young, inexperienced Louisburg High School girls basketball squad. 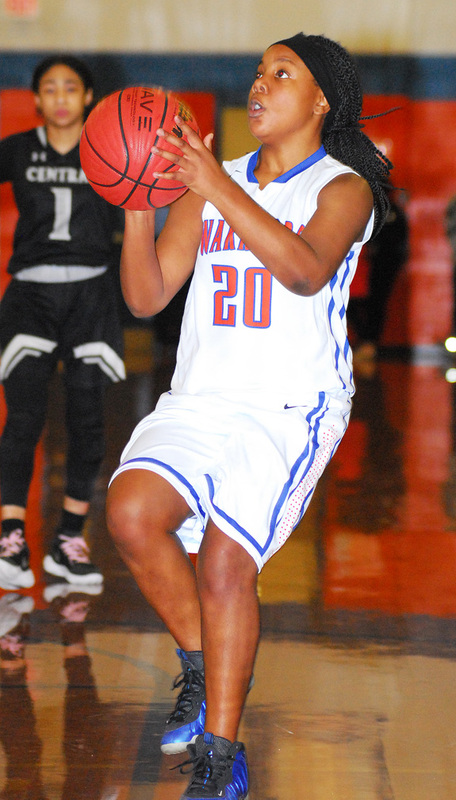 During the Lady Warriors' final pre-holiday game against Franklinton -- way back on December 21 -- they mustered just three points for the entire game. Following a long hiatus, Louisburg was back on the court last Tuesday at home for a Northern Carolina Conference showdown against the Granville Central Lady Panthers at the LHS Gymnasium. FRANKLINTON -- Franklinton's first-ever Big East Conference basketball outing was among the many postponements in Franklin County over the past week due to poor weather. FHS was supposed to host Rocky Mount last Friday night in its inaugural conference games, but the event was pushed back to January 31. 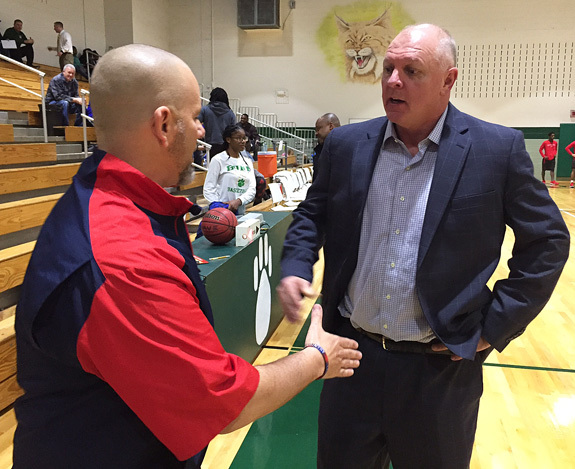 BUNN -- Bunn faced a stern early-January test on Tuesday as both the Ladycats and Wildcats resumed their basketball schedules with a road journey to Warren County. 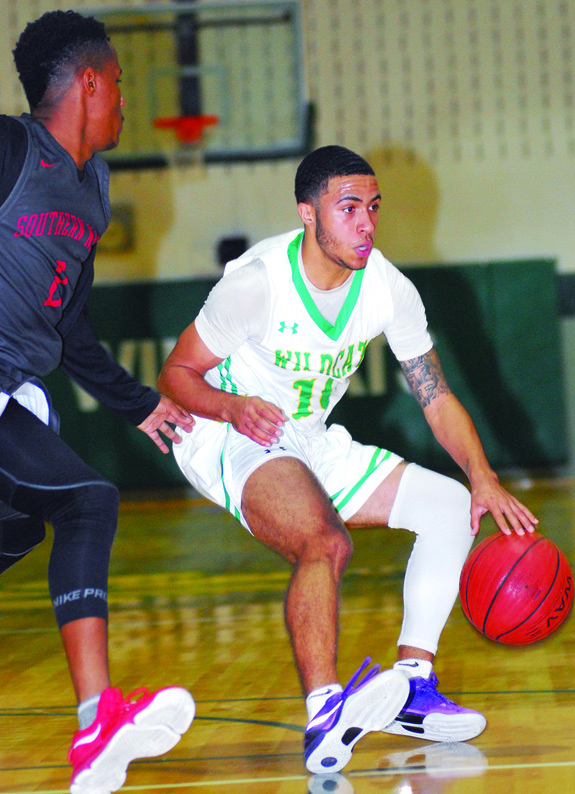 The WCHS Gymnasium is always lively and considered a tough place for opponents to play, but Bunn got the job done in both the boys and girls games in Northern Carolina Conference hoops action. HOME FOR THE HOLIDAYS. Former Bunn High School boys basketball coach Gerald Melton (right) returned to the Bunn Dome for the annual BHS Christmas Tournament from Dec. 27-29. Melton, now the head coach at East Wake, guided his club to a third-place finish at the eight-team event. He is shown with Southern Nash coach Robbie Kennedy. Louisburg College sophomore Jordan Oakley has become known for his ferocious dunks -- and here is another one as part of Monday night's home basketball triumph against Fayetteville Tech. Louisburg High School's JyQuan Taylor (left) goes up for a basket for the Warriors during Tuesday's home loss to Northern Carolina Conference opponent Granville Central at the LHS Gymnasium. Franklin County schools has assigned a former principal to a teaching position at Franklinton Elementary School. Melissa Britner was principal of Royal Elementary School for about a year in July 2017 when the Board of Education fired her after she was arrested in Pitt County on charges of driving while impaired. LOUISBURG -- Franklin County sheriff's deputies are looking for a suspect in a thwarted armed robbery attempt. According to authorities, a man whose face was partially covered entered the Red Barn store in the 4100 block of N.C. 56 East before 1:30 p.m. on Jan. 6, brandished a gun and demanded money. 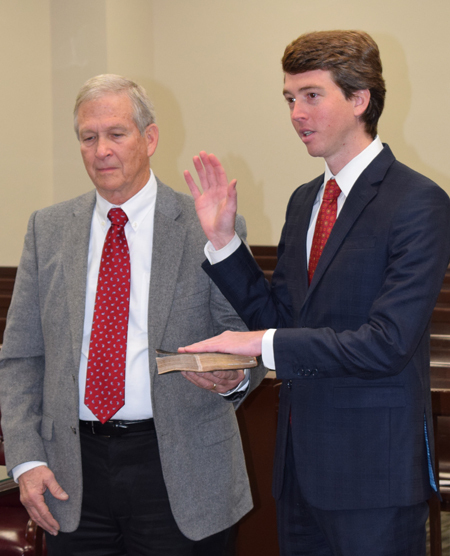 With his father, Louisburg attorney Pete Tomlinson, holding the Bible, Elliott Ryan Tomlinson takes the oath to become a North Carolina attorney recently in Franklin County Superior Court. The oath was administered by Chief Resident Superior Court Judge Robert Hobgood. Elliott Tomlinson graduated from North Carolina State University with a degree in economics, did an internship with U.S. Rep. George Holding in Washington, D.C., and then graduated from the Wake Forest University Law School. NEW AGENCY MANAGER. 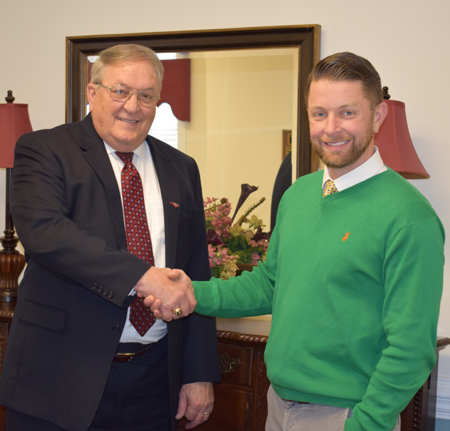 Chris Slack (right) is the new agency manager at North Carolina Farm Bureau Mutual Insurance Company, Franklin County. Slack takes over for Charles Early (left), who retired at the end of last year after 47 years with the company. Early was with Franklin County Farm Bureau for 11 years. The Franklin County office employees a staff of 13.